In the last year I have enjoyed a resurgence in listening to music … my music. I’m downloading songs and albums from The Eagles, REO Speedwagon, Kansas and Fleetwood Mac. These bands were popular when I was growing up in the ’70s and ’80s. Their lyrics spoke to me as a young person. When I listen to this music today I am transported back to that time. 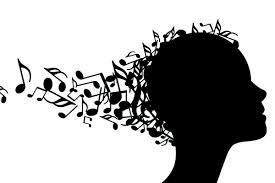 I not only hear the music, I feel it. This last year, my wife was listening to the most recent Eagles (my favorite band) album I recommended. She said, “All they sing about is lost love and heart break.” This stunned me. I knew they sang about more than just that. So, I began to pay attention to the themes in the music that shaped me as a young person. Sure enough. The themes centered around the issues I dealt with as a young person. Most were highly emotional and pivotal in my development. Last week I tuned into a station my nearly 14 year-old daughter listens to. The music was good. It didn’t quite strike the same emotional chord with me, however. Then, I wondered why. My music resurrects deep emotional connections. This music, surrounded by the same themes, didn’t. It hit me. I need newer music that speaks to me about my life as a 51 year old. Music for 14 year olds just doesn’t do it. Why don’t they write songs for old people? Everybody Loves Me So Why Do I Still Feel So Rotten? Do I Dye My Hair or Buy a New Red Car? I’m sure there are country and western songs covering some of these themes. And, I’m equally sure there are present day songs with which people my age resonate – see “Happy” by Pharrell Williams. But, what if the songs I’m suggesting (and others you might suggest) became popular and therapeutic, much like the songs were for me when I was younger? Wouldn’t that be cool?